Well, welcome 2016! I am not really into resolutions, but I like to make plans. My first step in planning a new year, is looking back at what worked well previously (and what didn’t). So before we start 2016 with exciting, delicious new recipes, indulge me while I do a quick recap of this last year. 2015 has been SUPER exciting for Leelalicious and for us as a family. For the first half of the year I was still on maternity leave with Olivia. 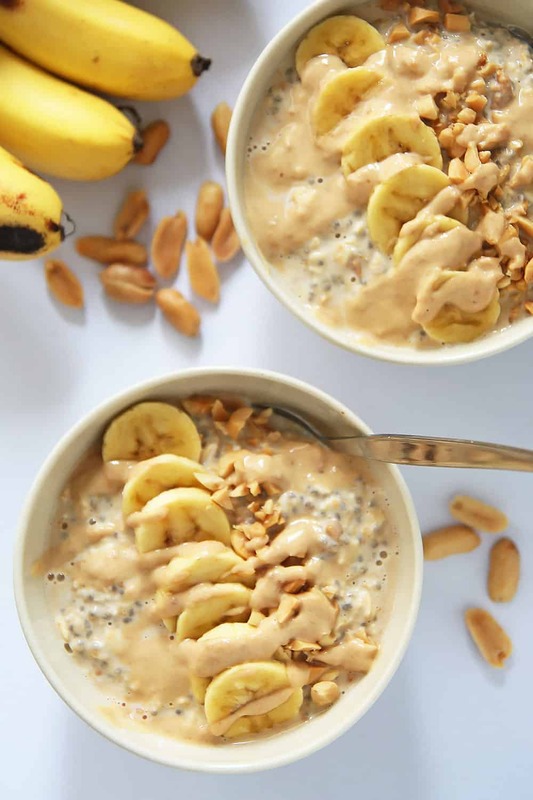 Despite being super busy with an overly mobile baby who started EARLY with everything from scooting, crawling and then walking, I dedicated most of my free time to developing and posting new recipes for this blog. My goal was to build a solid foundation that would allow me to earn an income while working from home. I didn’t want to go back to work and send Olivia to daycare as soon as she turned 1. Right around the time of her first birthday, I managed to land a few freelance gigs through this site. We took it as a sign to pack up our little apartment in Calgary and give our dream of location independent living a go. On top of my freelance work, I also kept building Leelalicious with new delicious recipes. Being a food blogger abroad took some adjusting. Not all ingredients I am used to are readily available or only at inflated prices. It was a struggle, but totally worth it. Within a short while of working on Leelalicious full-time, I managed to surpass the income I earned at any job I had held previously. I consider this a HUGE BLESSING! I get to do work that I LOVE while spending more time with my family in a place of our choosing. And for that I want to thank YOU! All this wouldn’t be possible without the loyal friend and reader you are – I am sincerely grateful for you! 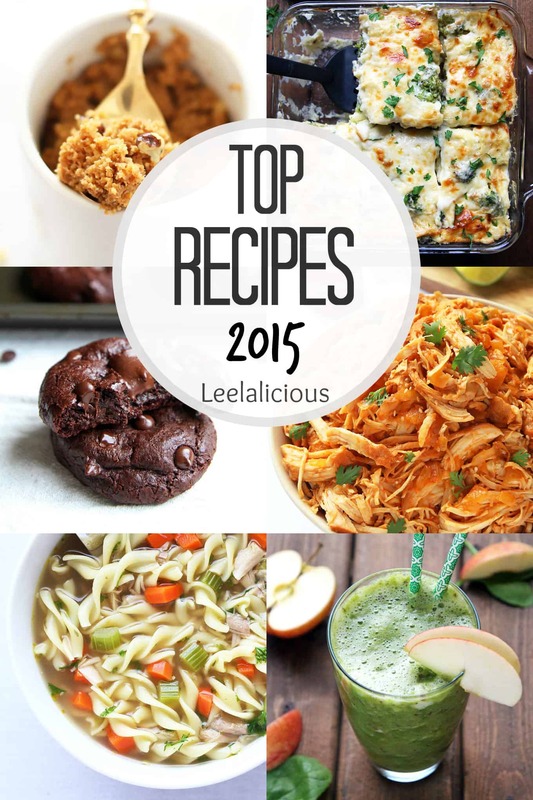 Now, let’s look at the recipes that kept you coming back to Leelalicious in 2015. Honestly, there were sooo many popular recipes from year’s before, but for this review I only looked at recipes that were posted in the last year. You can find previous year-end reviews here and here. 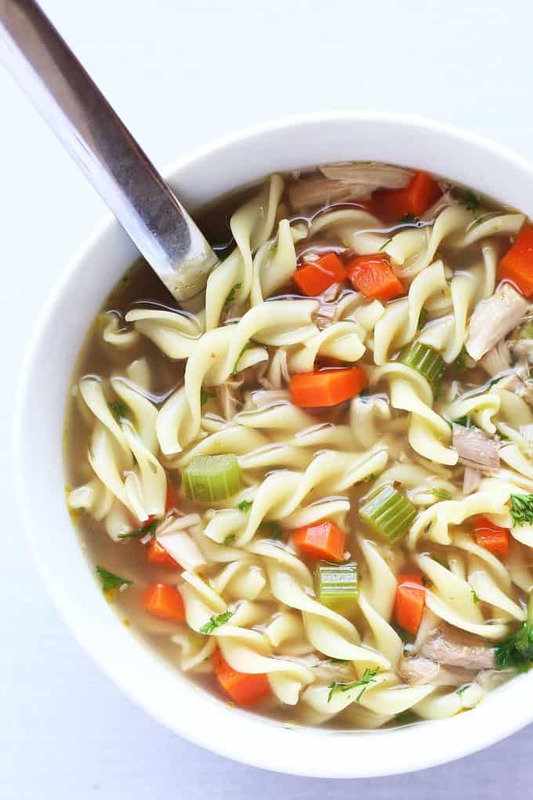 Chicken Noodle Soup is a timeless classic and would be so perfect during this cooler time of year. 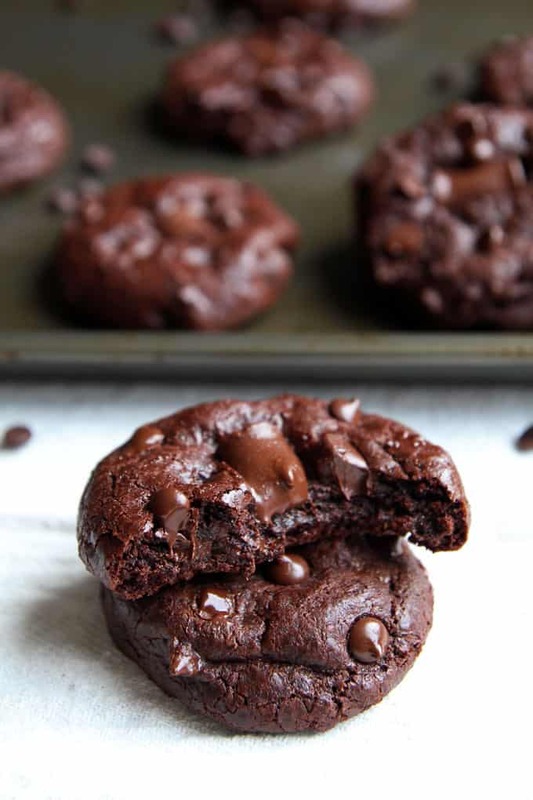 I just made these clean-eating Spelt Flour Double Chocolate Chip Cookies again for Christmas. 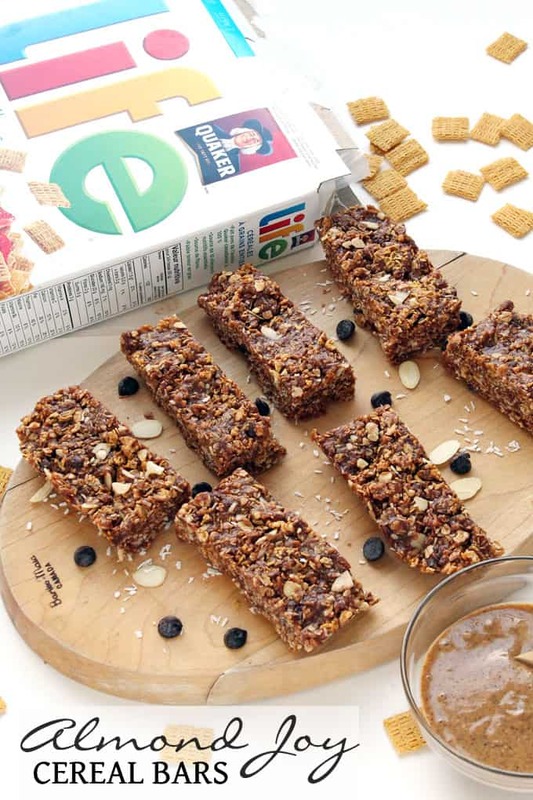 They seriously are sooo good, all while using whole food ingredients. No wonder you loved this recipe! What’s not to love about this Greek food classic? 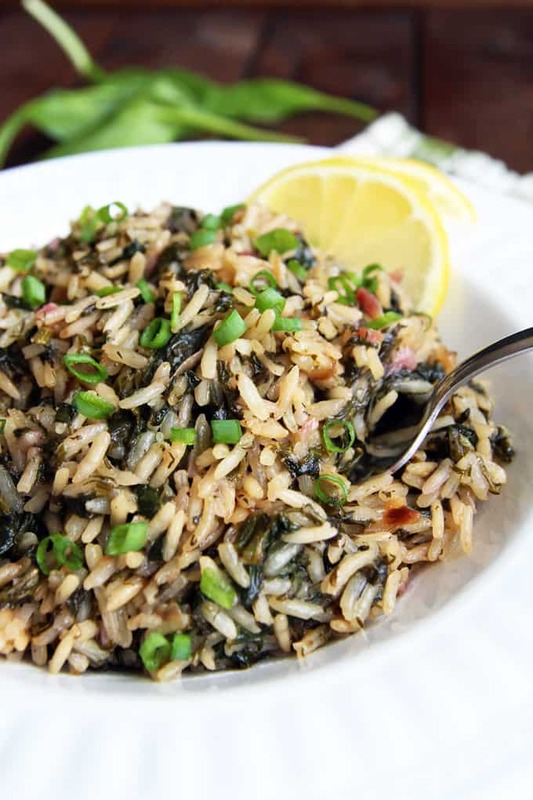 Spanakorizo is lemon-y rice with spinach and makes a delicious healthy side dish. 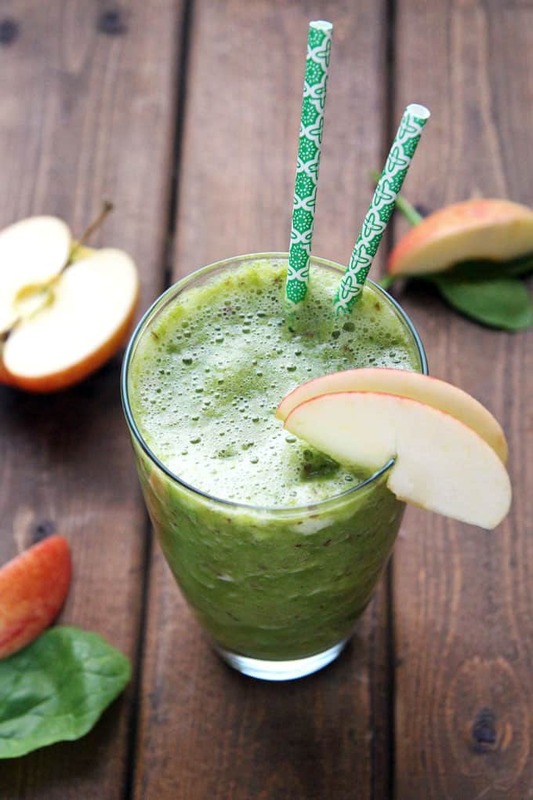 This delicious green smoothie that tastes like apple pie is perfect to start the year in a healthy way! This yummy tortellini & broccoli casserole is made with my creamy cauliflower sauce, which is now even more popular than it was last year. 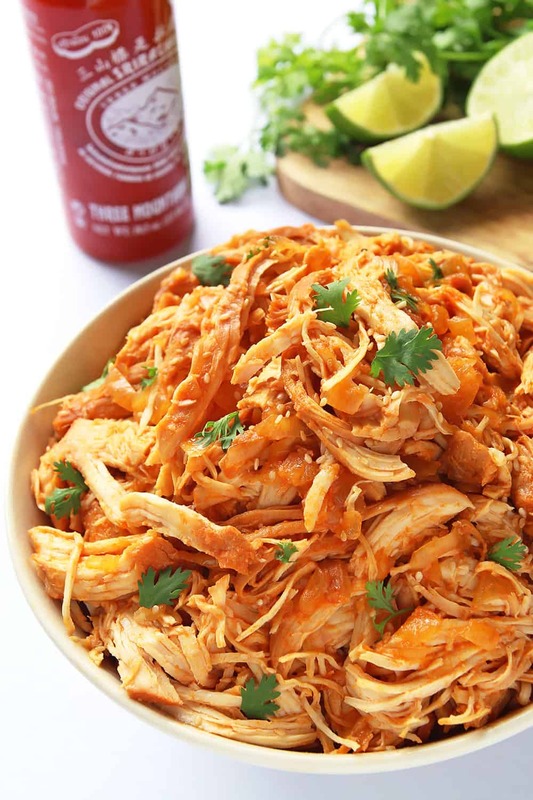 This easy 5-ingredient recipe for Sriracha chicken has become one of our personal family favorites and staples. You just can’t beat a simple chicken recipe with few ingredients that is made in the slow cooker. 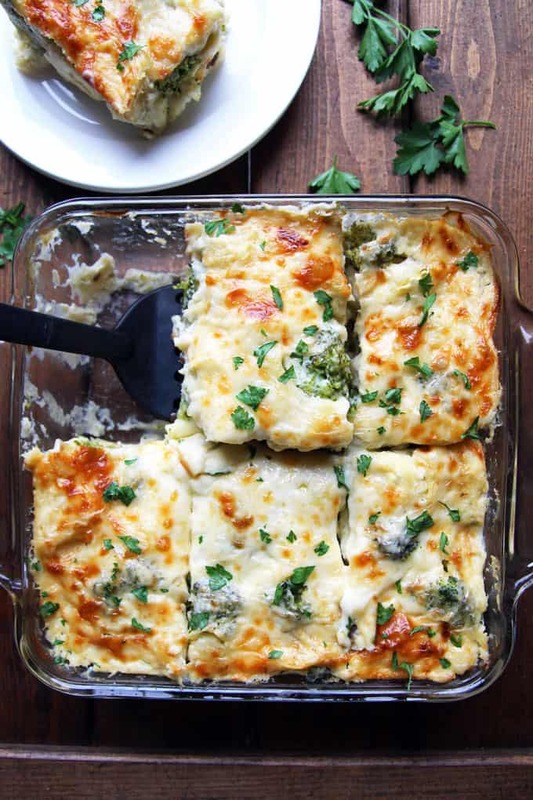 Perfect for weeknight dinner! 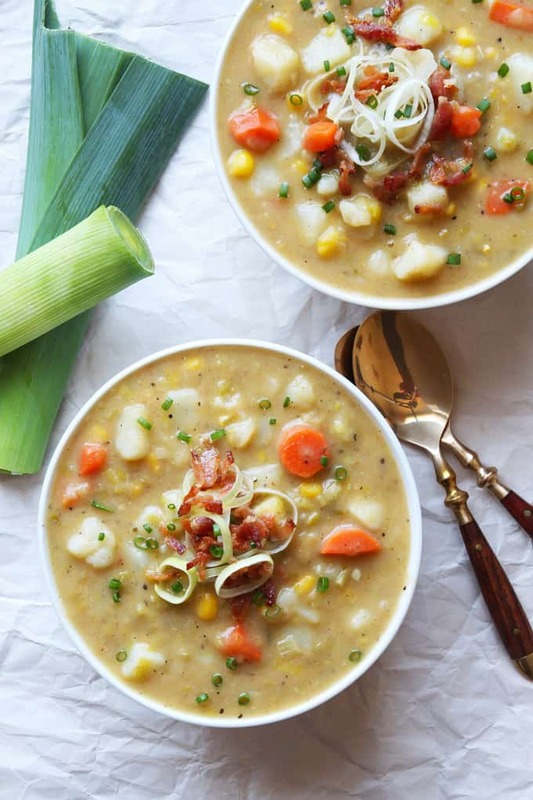 This creamy, dairy-free soup is absolutely delicious, but honestly, I am a little surprised at how popular it has become – especially on Pinterest! Apparently you all love healthy soups as much as I do. Yay! No surprise here. 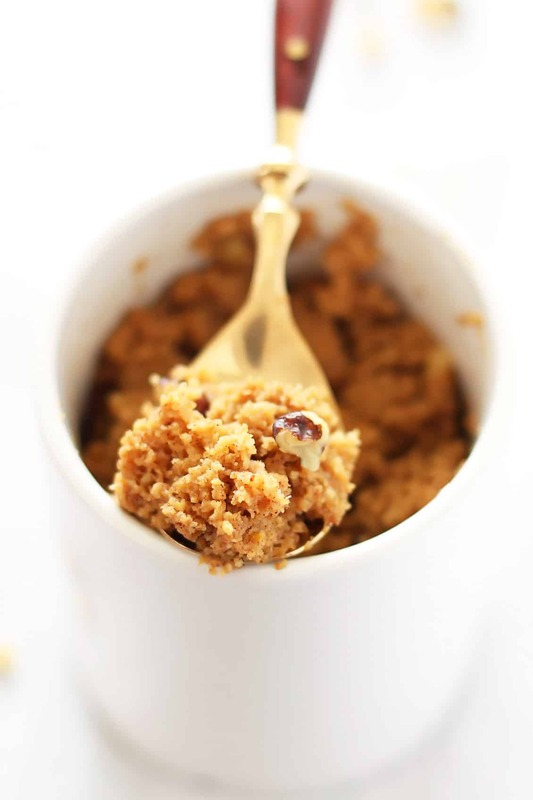 What’s not to love about a healthy, grain-free dessert that you can make in mere minutes! I did NOT expect this recipe to become as popular as it did. It was the first recipe I made and photographed after arriving in Thailand. We had just moved into our apartment and only started to set up the kitchen. And I was struggling with the lighting in a new place. But simple, delicious breakfast recipes always WIN! The delicious flavors of coconut, almonds and chocolate in one easy no-bake Almond Joy Bar. Me, you, we all LOVE it! Yum! To a new year with new exciting opportunities and lots and LOTS of delicious, nutritious recipes! A drool-worthy roundup, Regina! COngrats on a stellar year and all the best for 2016. Happy New Year! Happy New Year to you as well, dear Jacquee! It really has been a fantastic (and at time hard) year. Excited for the what 2016 has in store.